What does the end of the summer make you think of. I love this time of year. It reminds me of buying new school supplies and getting ready to start a-new! As life evolves over the decades and we get involved in other things those feelings change. What starts out as new pencils and the prospect of new teachers evolved into newly sharpened skates and the prospect of a great speedskating season. Both bring butterflies in the belly and joy to my heart. We are starting a little later this year but will be kicking off the season on Sunday, October 14th with our signature Try Speedskating Event. We hope to make speedskating available to anyone who wants to try it. Check the home page for information on how to register and keep an eye out on Facebook and Instagram for the event to share with your friends. Wish you could do that? Register to join our Try Speedskating event on February 25. email gascmaine@gmail.com for more information and to register. Happy Holidays, Merry Christmas, Happy New Year to all the skaters and fans of Great Atlantic Speedskating club. No skating Dec 23 or 24. Did you hear – the tax bill passed. Accountants are advising additional tax deductible donations in 2017. It’s not too late to give to Great Atlantic Speedskating. We are a 501(c)(3) organization so your donation is tax dedutible if you itemize. And SAVE THE DATE for the first Clash of the Cats club race – January 21. No Skating December 24 or 25, 2016. Back at it Saturday December 31, 2016 at 6:30 and January 1, 2017 at 10:30. All in Falmouth. 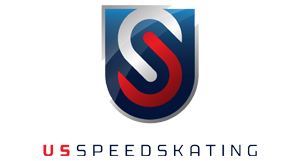 October 1, 2015 11:33 pm / 1 Comment on We have a Try Speedskating Sponsor! To promote the sport of Short Track Speedskating in the greater Portland, Maine area. We strive to provide an opportunity for people to develop their abilities and realize their potential as recreational or competitive speedskaters in a safe, supportive and fun environment.